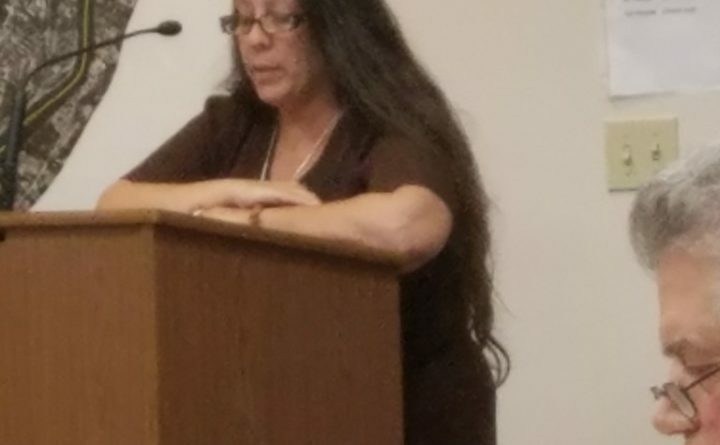 June Sapiel, a descendant of Penobscot Nation Chief Joseph Orono, asks Orono town councilors to celebrate those who were here long before the arrival of European explorers on Columbus Day. The news comes after the Bangor City Council last month voted to recognize the contributions of Native Americans by designating that day in their honor. Belfast made a similar move in 2015. The council’s 6-0 vote followed more than an hour of public comment, during which supporters and opponents of the proposal expressed strong feelings about the measure. A descendent of Joseph Orono, the town’s namesake, who served as chief of the Penobscot Nation from approximately 1760 until his death in 1801, spoke in favor of the change. But the proposal was met with opposition among some residents, among them Dan LaPointe, who noted that he is a fourth-degree Knight of Columbus, a Catholic organization, as well as a descendent of the Acadian and Maliseet people. The measure was proposed by Orono resident Norma Mallory, who presented to the council a letter signed by more than 150 people who also supported the change. “This is a step forward in acknowledging and honoring the first people of this land. It is also a step in formatting collaborative and caring connections so that together we can begin to heal and grow toward building truth and trust,” the letter read. The change means that Orono town staff will celebrate Indigenous Peoples’ Day on the second Monday of October, instead of Columbus Day. Schools, private businesses, churches, nonprofits, the University of Maine and individuals would not be affected, Town Manager Sophie Wilson said last week. Ordinance changes in Orono take effect 30 days from the date of council approval, which in this case won’t be until Oct. 11 — two days after this year’s Columbus Day observance, Wilson said.